Here at HSR, not only will you find a solid working relationship within our family unit, but you will also find the same amongst our friends. We are proud to announce that HSR owner Todd Becker has joined forces with fellow reptile enthusiast and family friend Dan Shell to bring you High Scale Reptiles & Enclosures. We look forward to what the future has in store for both the Becker family and the Shells alike. 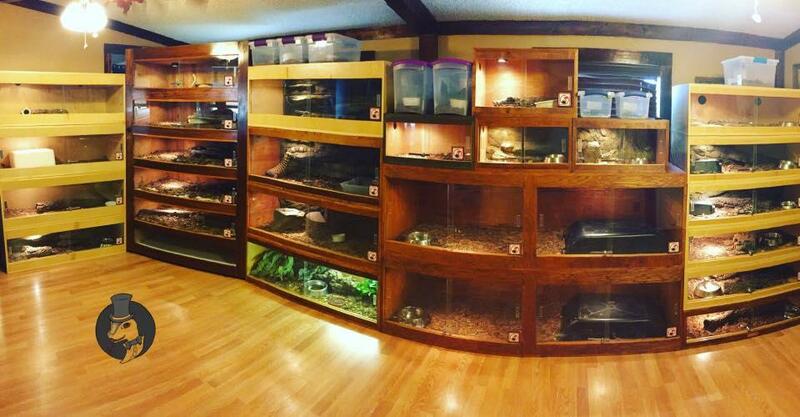 HSR&E builds custom enclosures for all types of reptiles. 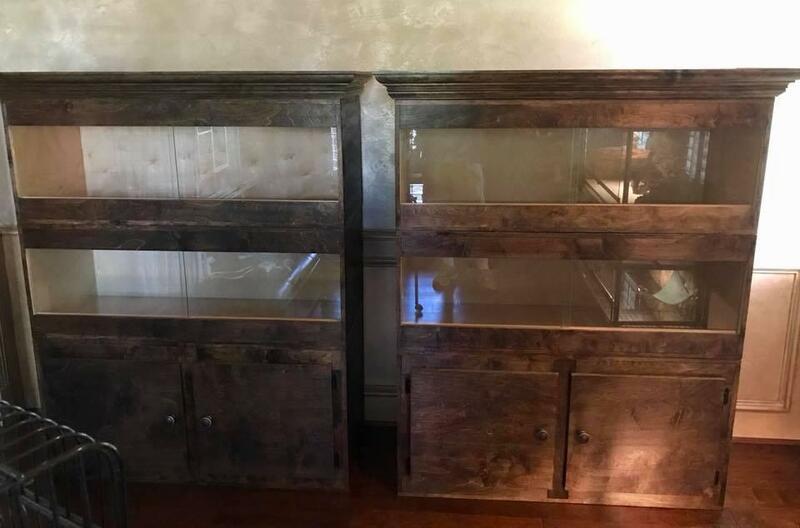 From basic breeder racks to center pieces for your fanciest room we allow you to house your reptiles in the manner that makes the most sense for your reptile needs. Here is a list of our standard enclosures with prices. All enclosures are sealed with a high heat/high humidity sealant to protect against water/moisture. WE ARE SET UP TO SHIP FLAT PACKS AND FINISHED ENCLOSURES VIA FEDEX AND UPS. WE ARE ALSO SET UP TO SHIP LARGER ENCLOSURES AND BULK ORDERS VIA LTL SERVICES. WE CAN DELIVER WITHIN TEXAS ($1.00 PER MILE FROM POINT A TO POINT B) AND BORDERING STATES OK, LA, NM, AR ($1.30 PER MILE FROM POINT A TO POINT B) FOR A FEE. WE ARE LOCATED IN VALLEY MILLS, TX (NEAR WACO). LOCKS ARE ALSO AVAILABLE FOR $9.99 PLUS TAX EACH. Here is some of our work, don't see what you need, contact us for custom quotes.